This is a superb trilogy of one-act plays. One is comic romance "How Would You Like to See My Sloht? 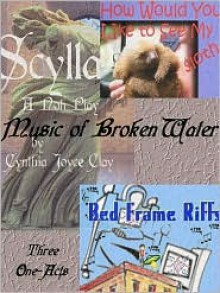 ", another is a sf comedy "Bed Frame Riffs", and the third is a Noh play, "Scylla: A Noh Play." Read these aloud at your reading group, you will have a wonderful time.